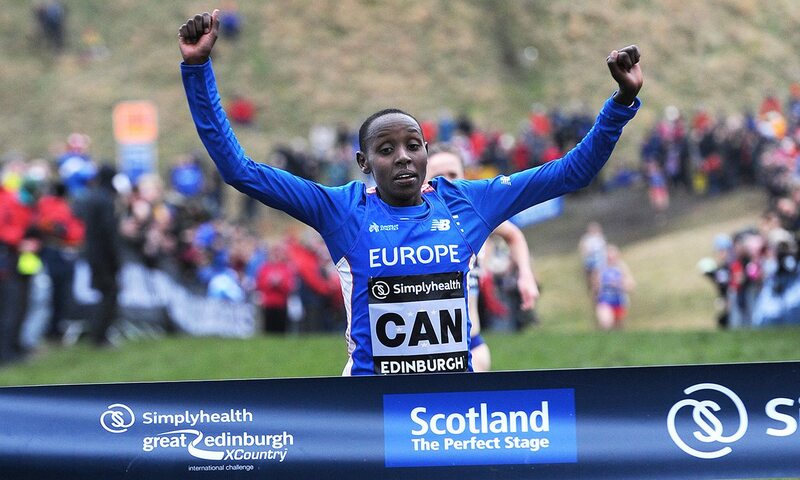 Emelia Gorecka pushed Yasemin Can right to the wire in an exciting end to the women’s race in Holyrood Park. The race looked set to be a procession after Can, the European champion, hit the front early and built a good lead. But Gorecka, who thrives on tough courses such as this, dug in and almost caught the Kenyan-born Turkish athlete in the closing stages. Can held on, though, to win by a couple of seconds with Gorecka a fine second and USA’s Molly Seidel, who had worked with the Briton for most of the race, a close third. Seidel was not short of experience on the course as she ran here twice as a junior and on Saturday enjoyed her first senior race. “It’s déjà vu in the best way,” she said. From now, the top three runners take very different directions. Can told AW she will retreat to the gym for a month of strength and conditioning training before starting to do running training for her next targets, which at present is uncertain. Gorecka has few racing plans and instead aims to get a good chunk of training under her belt before the summer. As for Seidel, she tackles the US Cross Country Championships in Tallahassee, Florida, on February 3. Kelsey Chmiel won the junior women’s race for the United States as she held off a challenge from European duo Mariana Machado of Portugal and Jasmijn Lau of the Netherlands. Lau, the European under-20 5000m champion in 2017, looked like she might catch the front-running Chmiel in the latter stages but the Saratoga Springs athlete surged away in the final stretch to win by three seconds. Like many juniors in the US team, this was Chmiel’s first trip to Europe. “The only place I’ve been to outside the US is Canada,” she said. Cari Hughes was leading Briton in fourth followed by Khai Mhlanga and Niamh Brown.